Ruby Dove Smith, 81, died Tuesday, October 16, 2018 at Willson Hospice House. Funeral services will be conducted Friday, October 19, 2018 at 11:00 a.m. at Mathews Funeral Home. Rev. David Benton will officiate. Interment will follow in Hillcrest Cemetery in Sylvester, GA. Pallbearers will be Kevin Greene, Colton Sellars, Tanner Smith, Michael Smith, Clint Smith, and Shane Tyndal. Born in Ozark, AL to George W. and Lela May Watson Elmore, Mrs. Smith moved to this area from Tifton, GA in 1966. She was a dietician for Sylvester Health Care for fifteen years, and also worked at McCollum’s Cleaners. 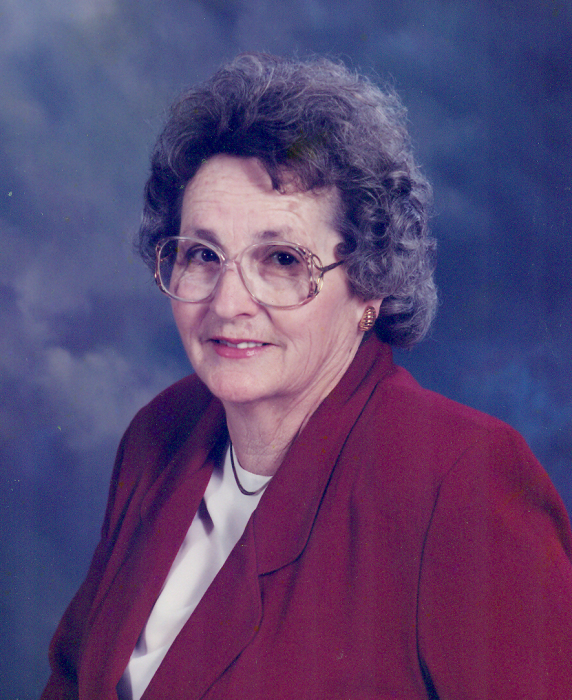 Mrs. Smith was a member of the First Baptist Church of Leesburg and loved flowers, enjoyed cooking for family and friends and quilting. She was preceded in death by her husband, Fred Cullen Smith. Survivors include her children, Freddie Smith and his wife Teresa of Worth County, GA, Tim Smith and his wife Sandy of Lee County, GA, Greg Smith and his wife Melissa of Terrell County, GA, three sisters, Ann Blankenship, Henry County, AL, Ellen Gunter, Dale County, AL, Nell Bodiford and her husband David of Dale County, AL, five grandchildren, Morgan Smith Greene and her husband Kevin, Kennesaw, GA, Taylor Smith, Lee County, GA, Tanner Smith and Clint Smith, both Terrell County, GA, Michael Smith, Worth County, GA, and one great-grandchild, Nathaniel Smith. The family will receive friends from 6:00 p.m. until 8:00 p.m. Thursday at Mathews Funeral Home. In lieu of flowers, memorials may be made in the name of Ruby Dove Smith to Willson Hospice House, 320 Foundation Lane, Albany, GA 31707.